Lenovo Z5 Pro features a 6.39-inch Super AMOLED display by Samsung. The notch-less display supports Full HD+ resolution of 2340 x 1080 pixels. The screen is surrounded by 2.07mm slim bezels. According to Lenovo, the Z5 Pro offers a screen-to-body ratio of 95.06 percent and an aspect ratio of 19.5:9. The HDR 10 compliant AMOLED display is embedded with fifth-generation photo-electric under-display fingerprint sensor. The slider of the Lenovo Z5 Pro houses multiple sensors such as dual front-facing cameras, infrared sensor, infrared light and proximity sensor. The dual selfie camera setup comprises of an f/2.2 aperture 16-megapixel main sensor and an 8-megapixel infrared camera. The Z5 Pro features AI capabilities for shooting beautified selfie images and it also carries support IR face recognition for accurately unlocking the phone in dim-light. Do you accept returns if in case it doesn’t work in Australia. Coz some forums say it won’t install Viber and whatsapp. Re: Yes, return in a week, but keep new condition(for sale). Does this phone work in USA and is it released? Re: It is only available in China now, It works on these bands: 4G FDD-LTE: B1/B3/B4/B5/B7/B8, please check if your SIM cards compatible with this phone. HOW MUCH WILL IT COST FOR THE EXPRESS EXPEDITED SHIPPING TO KENYA? Re: The DHL shipping cost is $39.99 to Kenya. Does this phone work in Australia? How long does it take for you to ship the device? Re: Estimate delivery at beginning of December, Lenovo only release a few phones to the market now, we only get a sample so far. it will work in usa, with 4g lte? Re: Please check the LTE bands, it only support B1/B3/B4/B5/B7/B8. Can I install nova launcher and replace it with Lenovo’s launcher on it? Re: I think it's difficult, but you can try. Re: It will be shipped out in 5-7 days. Does Lenovo Z5 pro work in India network if yes then I will purchase ? 1 - Are you sure that it have playstore installed? 2 - Are you sure thar it have italian language? 4 - Do you offer warranty? 5 - What about duty taxes? 1. Yes, Google Play store installed before shipping. 3. No microSD card slot. 4. 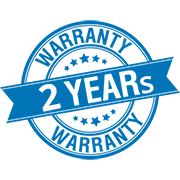 Yes, 2 years warranty. 5. For Italy, about 20% customs importing duty. Does this phone have google play installed? And where do you ship from? Re: Yes, with Google Play, from China. Do you get an EU charger and case for the Lenovo Z5 pro? And how much cost the shipping to Belgium? Re: It comes with a EU charger adapter, no case for this phone yet, but we will list it soon. About the shipping cost, it is $12.99 to Belgium.